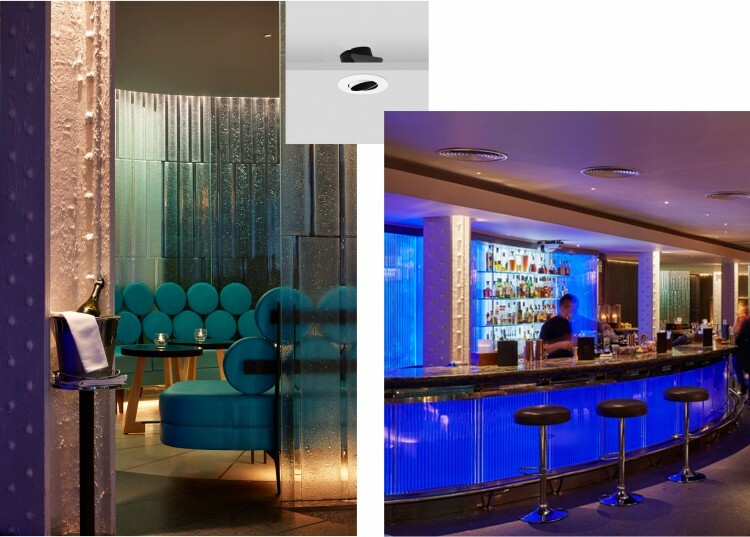 The popular May Fair bar at the 5 star May Fair Hotel has undergone a metamorphosis. Cool blue tones melt into sleek charcoal and grey to create an ambience of elegance and mystery. Mirrored walls create a new sense of space and light. 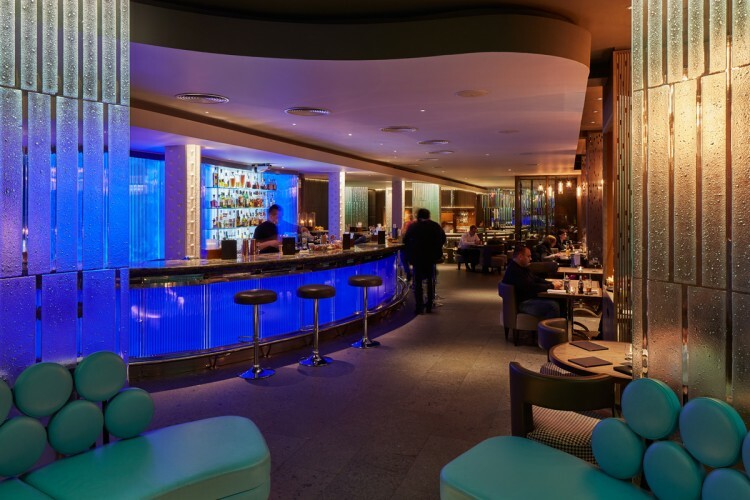 The electric blue-lit bar curves through the stylish crowd, carving contours which nestle the finest curation of spirits, malts, wines and champagnes. 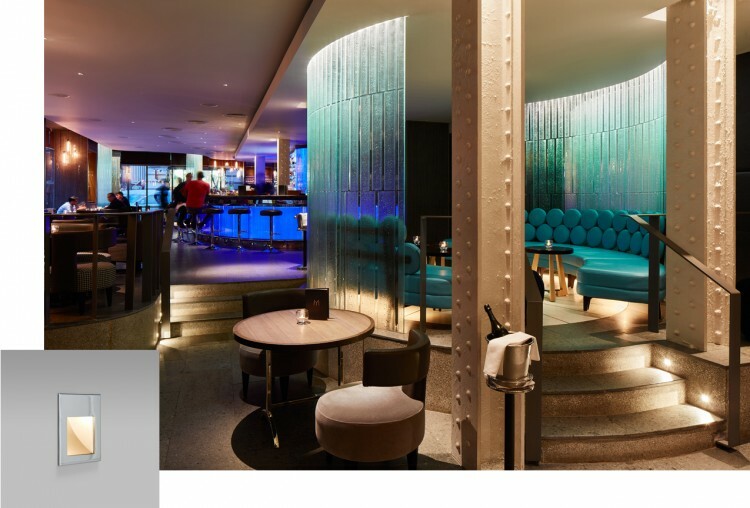 To add to the atmosphere a number of John Cullen Lighting products were selected by the lighting designer to compliment the interiors and create perfect lighting for this exclusive bar. 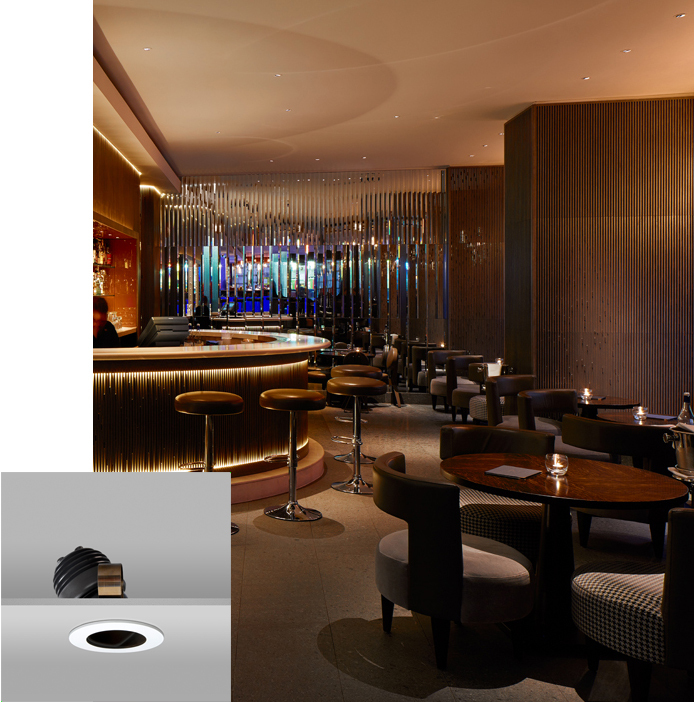 The 4w Fazer downlight was selected to both provide localised light over the bar to highlight the drinks as they are served, plus also to light down the feature columns throughout the space. The bar is on two levels so to emphasise this and illuminate the way, miniature Cazalla floor washers were used to wash light across the steps. They were selected for their discreet appearance and excellent warm white light output using only 1w. 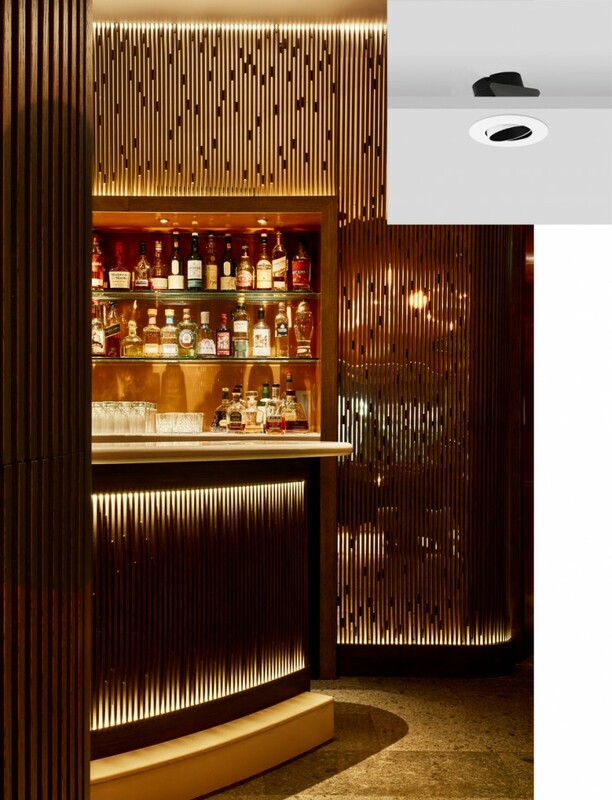 Throughout the bar, our discreet Flush downlights were used as in-fill lights. When tilted, this fitting remains flush with the ceiling to minimise its appearance. And finally to add sparkle to the bottles, Fazers were again used to highlight the shelving. With their delicious cocktails and wonderful location not to mention perfect bar lighting, The May Fair Bar is well worth a visit.